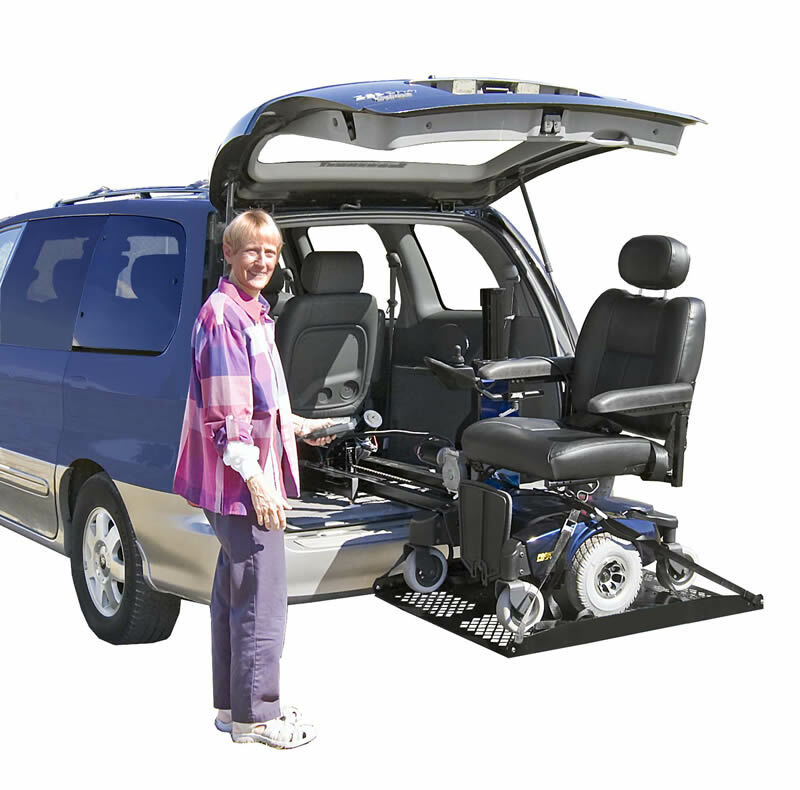 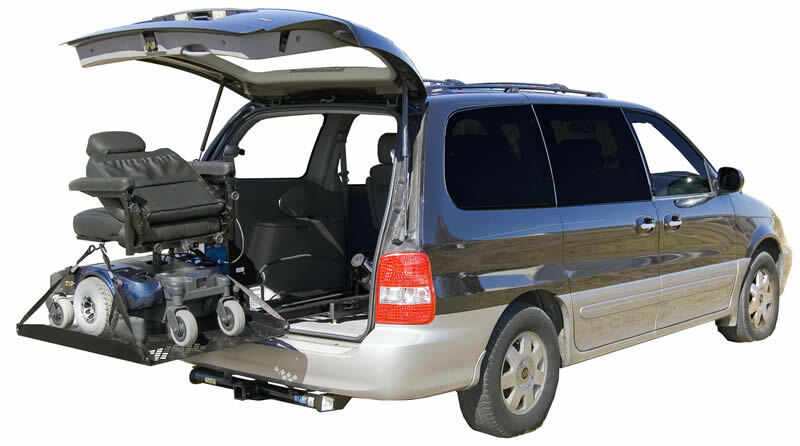 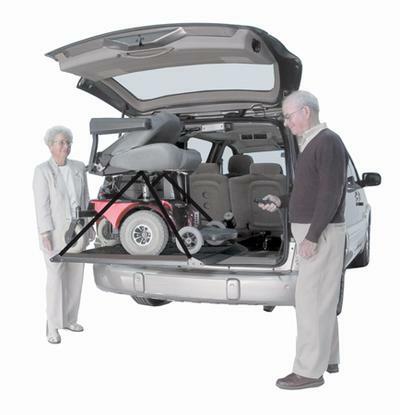 The Hybrid Platform Lift is an internal lift for power wheelchairs and mobility scooters but uses a platform that actually comes out of the rear of your vehicle. 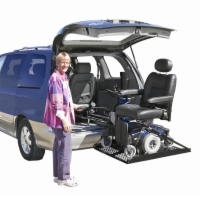 Once the platform has been extended onto the ground behind your vehicle, you can load your wheelchair or scooter by simply driving on the platform. 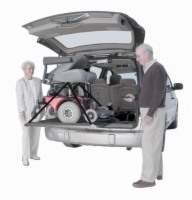 Then press a button and the Hybrid Platform Lift will automatically load your wheelchair or scooter into the back of your vehicle. 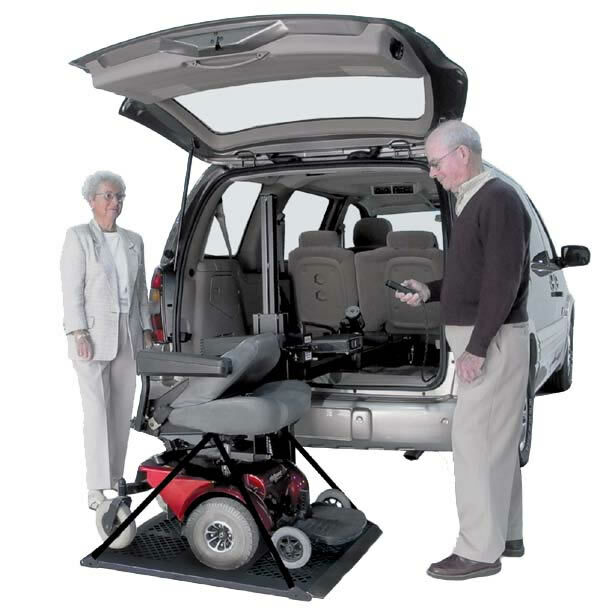 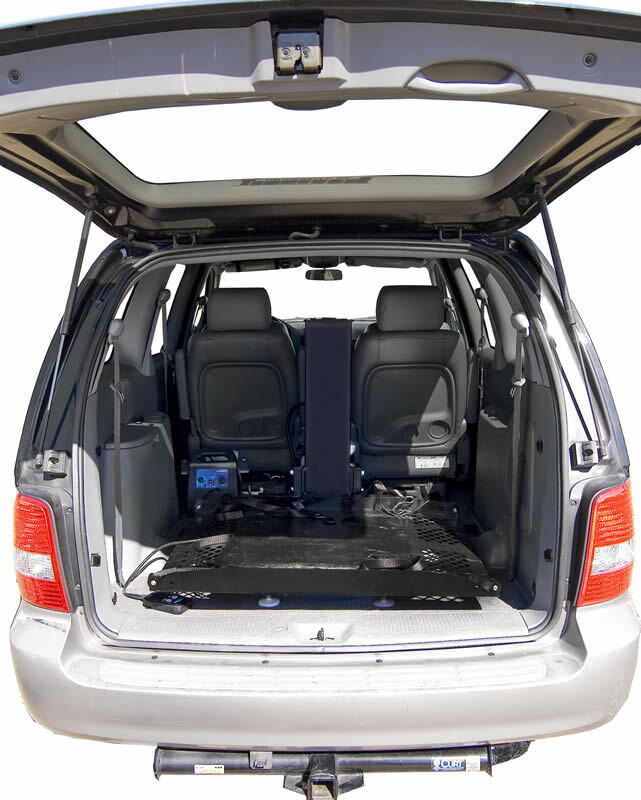 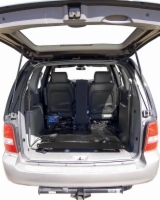 The Hybrid Platform Lift installs without drilling in most cases by using the vehicle's third row seat mounting brackets.